National Geographic Society (NGS) has positioned itself as the premier American learned organization dedicated to the "better" understanding of world anthropology, geography, history and natural resources. In the 2005-eighth edition-of its Almanac of World History and Atlas of the World, this organization has made a unilateral and potentially "illegal" attempt to amend the legally and historically recognized nomenclatures of certain geographical locations. Of particular note is the addition on their maps of a new term - namely "Arabian Gulf" - which appears in brackets and underneath the original, historical, legal and internationally recognized name PERSIAN GULF. Such a move has led to immense reservations in the scholarly community, and an uproar of protests worldwide, especially by the peoples of Iranian heritage from both inside Iran and from the Diaspora, who consider the new name as fictitious and thus illegal, politically motivated, financed by third [Arab] parties" and thus basically scandalous. "We try to retain our independent judgment and not be swayed by a response from a group with a particular interest," National Geographic Chief Cartographer Allen Carroll says. In a statement on the society's Web site, he defends the atlas yet promises to add "explanatory" and "clarifying language" to future editions and on the Society's website. National Geographic claims that for at least 15 locations on the recently published maps, it uses secondary names for various regions in parentheses to help persons looking for these names. The Society has, however, no answer when asked why it stops at fifteen locations, since there are many occupied or disputed territories with secondary names. Ironically, other cartographers and scholars who use maps as professional tools are of a contrary opinion to the one promulgated by the National Geographic Society. Instead, they are of the strong opinion that the inclusion of such [secondary] names makes for a more convoluted and cumbersome work. Costing $142.00, the eighth edition of the Atlas of the World is 416 pages long and contains more than 140,000 place names. Over 15,000 cartographic changes and updates were made in the course of creating this edition, which was five years in the making. Another criticism with potential legal ramification levied against the National Geographic Society relates to their recent first time inclusion of the term [occupied by Iran] which effectively questions the Iranian sovereignty of Greater Tunb, Lesser Tunb and Abu Musa Islands. Furthermore, NGS has recently decided to substitute newly coined "Arabic" names for two other Iranian islands historically named Kish and Lavan. Progress is being made as we speak, nevertheless. At the December 7 meeting of the National Geographic President John Fahey and the Leadership of NIAC the National Iranian American Council for instance, the Society made a few retractions and agreed on several "corrective" steps. NIAC has followed up on over 5000 growing number of personalized letters submitted directly to the Society Board by those in the community concerned about the [legal and historical] abuse of the Persian Gulf terminology. Trita Parsi, the President of NIAC submitted to Fahey a formal letter signed by 36 scholars on international stature requesting the reversal of dual classification of the Persian Gulf by National Geographic Society Board. "From here on it was pledged the National Geographic will use the correct names Kish and Lavan for the sovereign Iranian Islands, and the omission of the term "occupied by Iran for the other sovereign Iranians islands," Trita Parsi commented. The use of "dual names" for the Persian Gulf was, however, deferred to subsequent meetings for resolution. A similar meeting was also held last Friday, when Reza Pahlavi met with Fahey to communicate his succinct expectation with respect to the sole use of the name, Persian Gulf. Although some seriously talk of legal discourse, the community feels compelled to exhaust all other means possible before they resort to this last option. Iran as depicted in Figure 2. is a non-Arab country of 70 million population [an additional five millions in Diaspora] and five thousand years in the making has 2,000 Km. 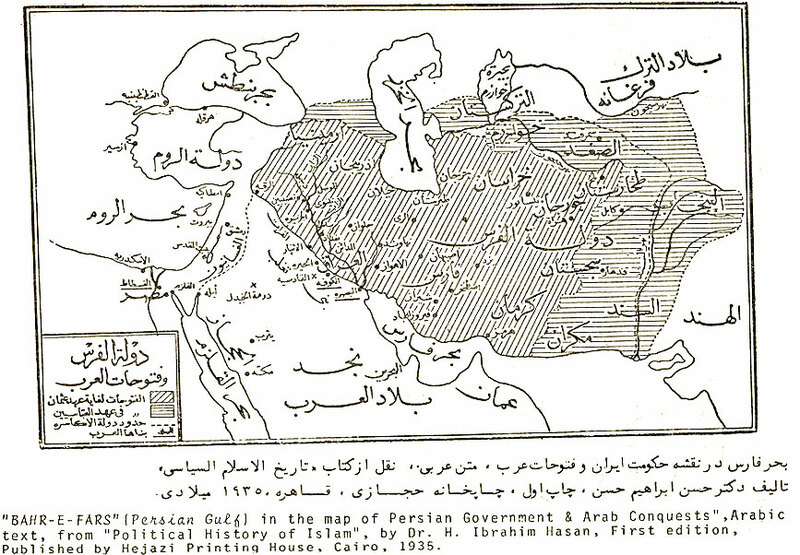 of maritime border with the Persian Gulf, in contrast to all the newly established sheikdoms and Arab countries bordering the waterway with a population one-tenth of that of the Iranians in the north. Persian cultural heritage is distinct from the equally rich Arab cultural heritage. The consensus among the international community of scholars is to employ only the single legitimate historical name, Persian Gulf in all communications. This belief is based on the premise that Persian Gulf is factually the name recorded and continuously used in the regional literature, history, poetry and science at least since Herodotus 2500 years ago referred to the body of water as Sinvs Persicvs; with the advent of Latin as the language of choice the name was written as Sinum Persicum (e.g., in the 1542 map shown in Figure 3), and Golfo Persico (Golfo Persiano) by the Italian marine expeditionary. Many believe that the recently coined term "Arabian Gulf" is a politically charged fallacy, which unnecessarily opens up old wounds and a "Pandora's box" in the region; In fact, the Society's decision might even lead to political and/or military confrontations. The unilateral action by the National Geographic Society is deemed as a direct challenge to the Persian Gulf region's ancient history and civilization. Recent and ancient historians (Greeks, Romans, Persians, Chinese, Arabs, Turks, European including Italians, and Americans), the United Nations, the U.S. Board of Geographical Names (BGN), the U.S. Department of State (e.g., as recorded in the U.S. Gazette 1917) and practically all world organizations have consistently employed the name, PERSIAN GULF. The newly fabricated name "Arabian Gulf" was coined in the late 20th century by pan-Arab nationalists such as Saddam Hossein, the deposed Iraqi President. This [incorrect] name is now insisted upon and some believe is financed by the Sheikhs of the United Arab Emirates (the UAE), an Arab-ruled, composite country that came into being only in 1972 and is located on the southern shores of the Persian Gulf. Some believe the National Geographic Society's decision to effect this name change, was prompted after a recent meeting of its President and Sultan bin Mohammed Al Qassimi, the Sheikh of Sharja-one of the seven Emirates. The Sheikh was presumably introduced to the NGS Society's President by Benjamin Ladner, the D.C. based President of American University who himself has significant vested interest in seeking endowments and support for satellite American University campuses in the Persian Gulf Emirates. Unfortunately, the years of ambivalence at best by the Government in Iran since 1979 and its somewhat feeble isolationist foreign policy, has further exacerbated the abuse of the name-Persian Gulf. Another factor influencing the international stature of Iran, Iranians, and anything Persian was the invasion of Iran by Saddam Hussein under the pretext of Arab nationalism and the miscalculation that he could overrun Iran in less than a week. While this symbolic dispute over the name of the waterway is going on, its environmental state is in jeopardy due to excessive exhaustion of its non-renewable [oil, gas] resources and due to three wars in the past twenty five years without any sustainable improvement of the socio-political and economic status of the locals. 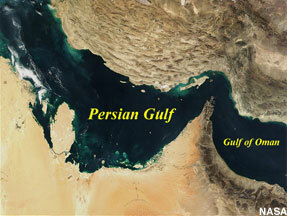 The misuse of the name of the Persian Gulf has, in recent years, become more frequent. This is primarily due to British enterprises which are heavily vested in the Emirate Sheikhdoms and use the [fictitious] name or simply "the Gulf" in their correspondence. The US official foreign policy as articulated through its State Department refers to the waterway as the Persian Gulf. Recently, however, certain components of the U.S. military units, especially those stationed along the southern shores of the Persian Gulf, have begun, to use the alternate in their communiqués to appease [patronize] the local Sheikhs. Such [incorrect] language has increasingly found its way back to the Pentagon. After the publication of the World Atlas, many objections were registered with the National Geographic Society. A petition has been endorsed by nearly 100,000 signatories and is still actively being signed. Objecting many of these also took the opportunity to write expressing their own specific sentiments. Since a large number of petitioners are subscribers and regard the National Geographic Society with such high respect, it makes the Society's unilateral decision more perplexing. Many have threatened to drop their membership and withdraw use and support of the National Geographic Society services. A group of internationally renowned academicians submitted an open letter to the Geographic President John Fahey, expressing their full cooperation to for [damage control] and resolution of the matter. In their letter, they stated, "We do hereby register our grave concern and disappointment on the abuse of the new name included which unless it is ameliorated immediately, would not only undermine the credibility of NGS to which each of us have contributed so substantively over the years, but that it would also set a precedent for the world, which its adverse ramifications will remain with us for the ensuing history." National Geographic has also received tens of thousands of phone calls, internet, and regular mail in protest over the past month. The worldwide protest against the National Geographic Society's inclusion of the new name continues to reverberate through international media, including the BBC, Time, Reuters, VOA, and AP among many others, that cover the event extensively. Notwithstanding the immense number of political differences among Iranian factions, there has now emerged a spontaneous consensus among the four million people of Persian/Iranian heritage in the Diaspora [nearly one million in the U.S. alone], with their 70 million brethren inside Iran to reaffirm their commitment to safeguarding with one unified voice their cultural heritage which includes the Persian Gulf. After a period of indecisiveness, even the Government in Iran was compelled to bar the National Geographic reporters from entering Iran, and not allow the import and sale of the Society's products including its renewed popular magazine. Moreover, there are rather substantial number of citizens in today's Arab sheikdoms, Kuwait, Oman, Saudi Arabia and Iraq who are of Persian heritage; for instance, in Bahrain, which was a sovereign province of Iran until the early part of the 20th century, the Indigenous majority are Persians. The Persians and the Arabs are two distinct ethnicities with their own cultural heritage that must both be preserved and mutually respected in their own rights. The most significant Arab influence on Iran was the advent of Islam and its Book, the Quran. Persian's architectural, literal, and artistic expressions span from Taj Mahal in India to Al-Hambra in Grenada in Spain through propagation of Islam. 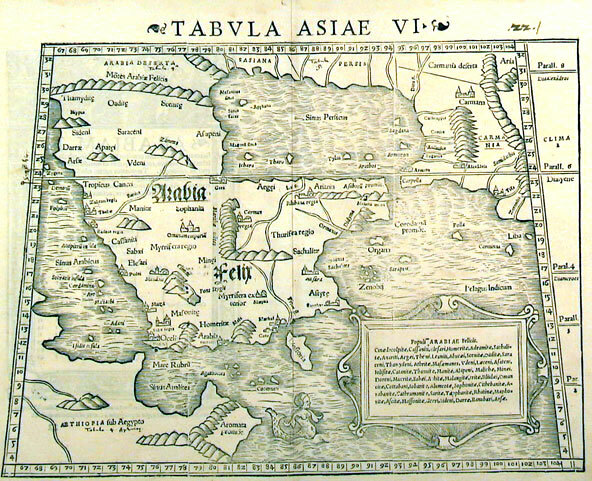 Tehran Times, the Iran moderate English language daily wrote in its November 27th issue: "The American institute of National Geographic in an unprecedented move used the forged name 'Arabian Gulf' to designate 'Persian Gulf', as the Arab littoral states of the Persian Gulf watched this plot unfold in satisfaction when Israel tried to change the name of Aqabah Bay into Iliad Bay in a U.N. meeting in 1970, and representatives of 22 Arab countries stood up in protest. They argued that Israel's proposal was racist and that it contradicted all geographical and racial norms. In the current case, Arab countries are apparently the beneficiaries of this name-change. And they should answer the same question today: Isn't changing the name of Persian Gulf against all racial and geographic norms?" The scientific community worldwide including tens of thousands of Iranian American university professors, scholars and researchers, anticipate an amicable resolution of the matter that is based on fact, logic and international conventions; this should in turn lead to their continued financial and scholarly support of the National Geographic Society and its multifaceted endeavors. Otherwise the National Geographic Society's credibility will be undermined, many conclude. When one looks back at modern Iranian history, there has been hardly any other topic of concern that has so heatedly united all Iranians and peoples of Iranian heritage than this threat to their common cultural heritage. Some even anticipate legally and factually based defense of the name of the Persian Gulf might facilitate the independent home grown democratic reforms that Iran has been struggling to sustain for sometime. The Iranians and Persians are proud of their past national heritage and recognize that they can never claim and rightly so, a vast country like ruled by their ancestors, the Archaemenid Dynasty of 2500 years as illustrated in Figure 6., but that they would certainly aspire to preserve their today's cultural heritage and territorial integrity in the current millennium, while upholding the same magnitude of respect and admiration for other ethnicities heritage worldwide, especially their Arab neighbors. New York-based reporter Dr. Davood N. Rahni is a novice commentator on cultural and political affairs. By profession, he is professor of chemistry, environmental science and environmental law. He also holds an adjunct professorship in dermatology and remains prolific in diverse scholarly fields that include neuropsychopharmacology, nano-engineering, forensics, in vivo biosensors and sustainable development.